1.VDB breaks out in 99 winning Leige Bastogne Leige and Het Volk. DMX drops his third #1 album "and then there was X" in 99 featuring his biggest hit"Party Up" Both VDB and DMX take these lyrics to heart and try their hardest to lose their minds in the coming months and years. 2.DMX gets arrested (frequently both west and east) for abusing his pitbulls. VDB gets arrested (regularly but not with the gusto of X) with drugs that are "for his dogs". 3.DMX gets busted using a false name at a hospital. VDB gets busted racing in Italy under a false name. 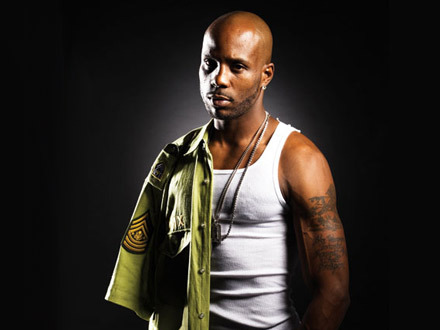 4.VDB writes and autobiography called "I'm not God" and DMX records a gospel album. Since Earl had is reality show, we can only hope that VDB gets a chance to go where only the Planckaert's have been before him in Belgium. Or maybe, dare we dream, VDB could start a career acting in action flicks a la X and the OG Muscles from Brussels Jean-Claude VanDame! Maybe a VDB/DMX movie together? So if you are wondering WTF? These are the things I think about when out doing training rides on Monday nights! This is also dedicated to the newest Belgian Cocaine Cowboy... Tom Boonen. The huge techno record collection should have been a tip off!